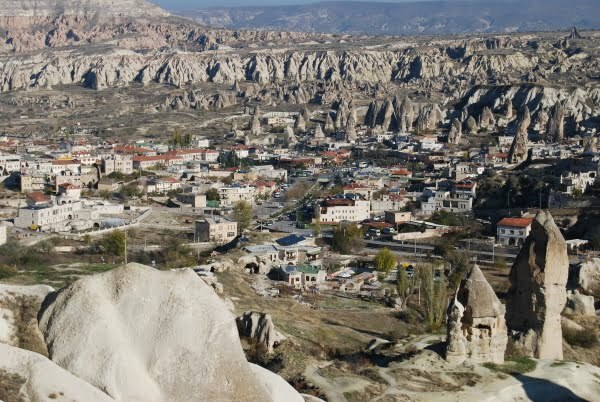 In my opinion, the Panoramic Viewpoint of Esentepe, Goreme is a tacky, touristic spider web. 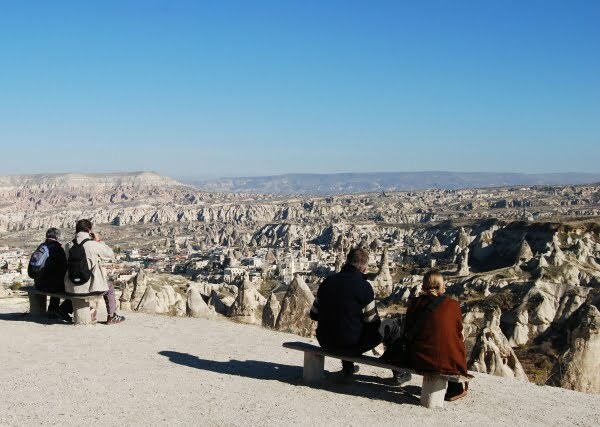 Tourism agencies regularly visit it while taking customers on excursions around Cappadocia. It is marketed as a toilet stop; place for refreshments and of course a wonderful landscape view. 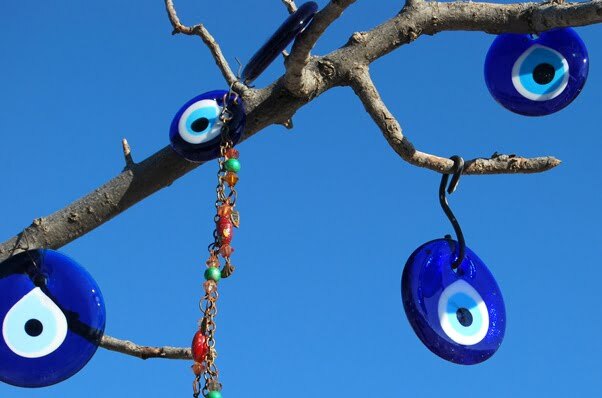 Located between the small towns of Uchisar and Goreme, what the guides forget to mention is the dozen or so tacky tourist shops that all sell the same souvenirs but just market them a different way. To be fair, most of the sellers are gentle in their sales approach and I have experienced harder sales patter in other places of Turkey. 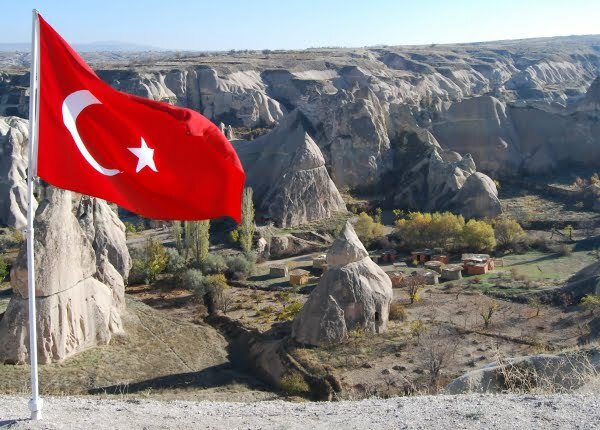 Once they had established I was not in the market for buying anything, the conversation turned to general topics about Cappadocia, Turkey and the view. 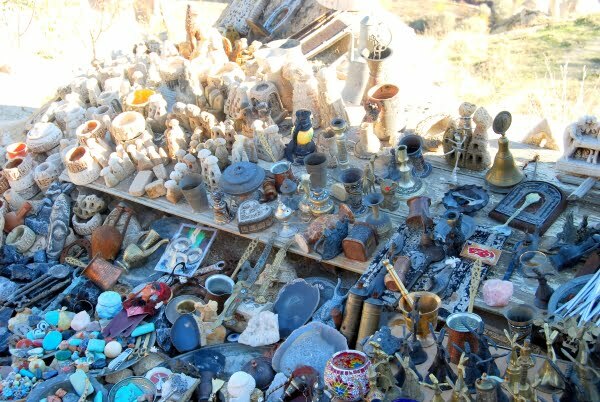 It was my third time to Panoramic Viewpoint and the assortment of souvenirs for sale always baffles me. I call it pure junk, something that would end up in a box never to see the light of day again. People must be buying the junk though as these shops have been around for many years. Overlooking the small, quaint town of Goreme and Pigeon Valley, Esentepe Viewpoint is one of my favorite places in Cappadocia despite the tacky touristic crap they promote. Small lanterns and evil eyes hang off the bare leaf trees, refreshments shops readily serve up cheap food and drink and once the large coaches have pulled out, the moment becomes quite surreal and peaceful. On a clear day, you can even see Mount Erciyes in the distance. I could sit there all day and never grow tired of the view. Michael, it shows us a red dot on the map – do you see it? On the road between Goreme and Uchisar. Would you please point out the Panoramic Viewpoint on the Google Maps? Thanks. 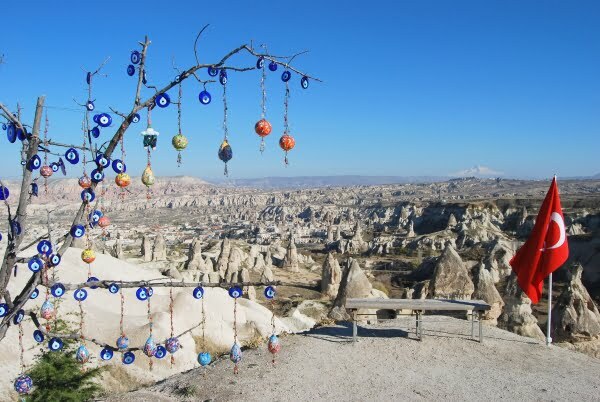 Ah, Cappadocia is SO on my list, and this has made it harder to wait. Thanks for the inspiration. Makes me realize that we are but just a little speck in this massive universe. Wonderful photography. It’s interesting to see the world from a different perspective. Me too – would tempted to set up a tent as well! Such a beautiful, unearthly landscape. Beautiful! I could sit there for hours. What a view. Helps you forget the tat!